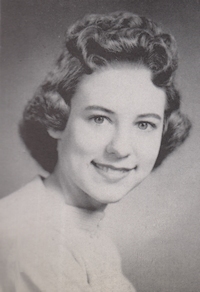 Obituary – Wise, Sharon Kay (Clark) « Perry High School Alumni Association, Inc.
Wrestling Queen 57-58; All School Revue 55-57; Class Assembly 55-56; Red Hots 55-58; Cheerleader 57-58; Student Council 55-56; Annual Queen Attendant 56-57; Teen Town Council 57-58; Office Staff 57-58; Library Staff 5657; Christmas Vespers 55-56; Homeroom Secretary – Treasurer 57-58. Sharon Kay Clark Wise, 69, was born on December 1, 1940 on a farm NE of Perry to Frank H. Clark and Dorothy Wolfe Clark. She died Thursday, August 12, 2010 at her daughters home in Oklahoma City. She attended schools in Red Rock, Marland and Perry, graduating in 1958 from Perry High School. Sharon was Perry High School Wrestling Queen in 1958, cheerleader and member of the National Honor Society. She attended Central State College in Edmond on an Associate Business Secretarial certificate program. On November 6, 1959, she married Charles E. Wise in Perry at the First Christian Church. He preceded her in death on June 10, 2001. She worked for OSU Extension offices in Perry and Chickasha. The couple lived in Chickasha from 1965 to 1975, until they moved back to Perry and purchased the Budd Wollison Buick, Pontiac, GMC Dealership. They owned and operated Wise Buick, Pontiac, GMC for over 30 years. 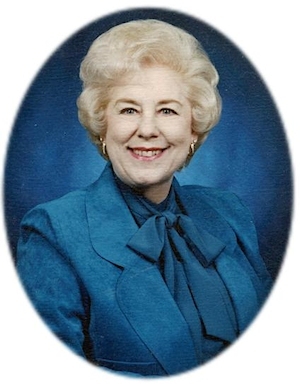 After Charles death, Sharon continued operating the dealership and was named one of the few women General Motors dealers in Oklahoma and was a member of the Oklahoma Auto Dealers Association. In 2005, she sold the business to Ruble Vance of Perry. She supported many school and community organizations in Perry. She was a member of the Perry Chamber of Commerce, Main Street of Perry, an honorary member of Perry Study Club, having served as a past president and was a life time member of Beta Sigma Phi. Sharon was a member of the First Christian Church, serving as an Elder and Deacon. She enjoyed hosting a Bible Study Group in her home the last two years. She was an active member of the Christian Womens Guild and assisted serving Rotary Club dinners. Funeral services will be 2:00 p.m. Monday, August 16, 2010 at the First Christian Church in Perry. Rev. Martin Foster will officiate. Interment will be in Grace Hill Cemetery. Services are under the direction of BrownDugger Funeral Home in Perry, Oklahoma, assisted by HillsEly Funeral Home in Medford, Oklahoma. The family will be receiving friends from 6:00 p.m. to 8:00 p.m. Sunday, August 15, 2010 at BrownDugger Funeral Home. Memorials may be made to the Elks Scholarship Fund, the First Christian Church or the American Cancer Society in care of BrownDugger Funeral Home, 1010 N. 7th Street, Perry, Oklahoma 73077. Sharon is survived by one daughter, Gayla Wise Thompson and her husband, Edward, of Oklahoma City, Oklahoma one son, Scott Charles Wise of Perry, Oklahoma one granddaughter, Brandi Lea Wise of Perry, Oklahoma and three grandsons, Jason Scott Wise of Perry, Oklahoma, James and John Thompson, both of Oklahoma City, Oklahoma one greatgrandson, Cutter Lee Sypert of Perry, Oklahoma one sister, Francis Clark Hyatt of Perry, Oklahoma several nieces and nephews including Justus Hyatt of Perry, Oklahoma two sisters-in-law, Naveda Wise Ely and her husband, Harvey, of Medford, Oklahoma and Patricia Wise Puckett and her husband, Joe, of Broken Arrow, Oklahoma and one brother-in-law, Wesley Wise, of Oklahoma City, Oklahoma. She was preceded in death by her husband, Charles Eugene Wise her parents, Frank and Dorothy Clark her husbands parents, Lee and Willie Wise and one brother-in-law, Gary W. Wise.